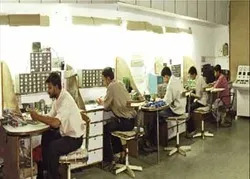 Based at Ahmedabad, Gujarat, India, we “Amess Control Private Limited” engaged in manufacturing, importing, exporting and trading of PLC, Motors and Digital Drives. 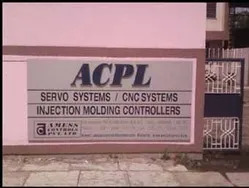 Our product range includes, Servo Driven Web Guide System, Servo Driven Actuator, Controller for Servo Driven Web Guide System, Siemens Servo Motor & Drive, CNC Control System for Bengal Engraving Machine etc. The company has been established in 1996. These are fabricated using high grade components and have features such as durable finish standards and high functionality. Further, our industry experience has enabled us to understand the specific requirements of the clients. In order to attain maximum customer satisfaction, we offer all our products at affordable prices. We are assisted by a enthusiastic and energetic team of engineers & technicians who have a proven track record and firm determination to innovate and excel. All our products are available with ultra contemporary looks and require less maintenance. Owing to trouble-free performance and high processing speed, our range is highly appreciated by the customers spread in Western Europe, Eastern Asia, Middle East and South America. Further, to facilitate our customers, we also have the facility to customize the entire range as per the exact needs of the customers. 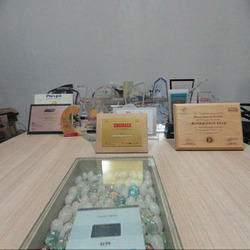 With our strong business ethics and high quality standards, we are proceeding for CE mark. We are headed by our mentor, Mr. Sandeep Mehta. Under his able guidance and support, we are able to carve a niche for ourselves in this domain. Manufacturing, Services, Trading, Importer AND exporter of Industrial Automation Product. We are one of the renowned manufacturers and exporters of a superior quality of PLC, Motors and Digital Drives. In our entire range of products, we offer, Smart Servo PLC, AC Brushless Servo Motor and Fully Digital Servo Drive. These are made using latest techniques and components that is sourced from noted vendors. 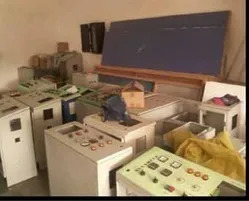 Further, incorporation of advanced machines help us in rendering quality repairing and refurbishment services of the products. We are constantly supported by a team of talented professionals who help in meeting the varied demands of the customers. These personnel have in-depth knowledge of all the processes involved and have rich years of industry experience. Further, to keep them abreast with the recent technological advancements, we train them completely. All these professionals work in complete synchronization in order to carry out the production process in a smooth manner.